We left for Shanghai at around 6:30 pm on Thursday, March 10th. It was our first official vacation (we got Friday and Monday off from teaching) and we were SO excited. 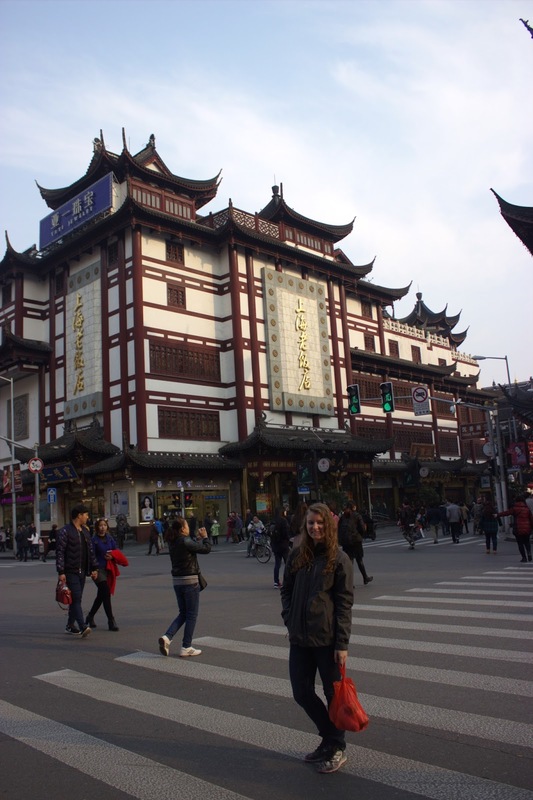 Our head teacher had lived close to Shanghai the last time she was in China, and she had only good things to say about this thriving, modern city. We took taxis from our school to a bus station, where we took a 2-hour bus ride to the Guangzhou Airport. We waited around for our flight for a few hours, got some expensive airport food and finally boarded the plane. It was delayed almost two hours, which we are now finding out happens basically all the time in China due to air traffic problems. We got into Shanghai around midnight, and after another hour of trying to translate directions to our hostel from English to Chinese, we finally figured things out and got a couple taxis. The taxi ride was quite an adventure in itself- our driver was going about 60 mph through town weaving in and out of cars. Chinese drivers are not to be messed with. Around 2:00 am we made it to our hostel. It took a while to get our payments sorted out and close to 3:00 we finally got to go to sleep. Well, sort of. The six of us got split into two rooms, and the room I was in had five other guys already sleeping soundly. Well, four guys were sleeping soundly and one guy was snoring so loud the walls were shaking. Seriously, I swear he had a megaphone stashed under his pillow. It was sort of unbelievable how loud he was. One of my roommates was across the room from him and she got a recording of his (quieter) snoring on her phone and you can't help but laugh at the ridiculousness of it all. I laugh at it now, but when I averaged about four hours of sleep a night in Shanghai it wasn't quite so funny. We woke up late on Friday and decided to explore some of the more touristy parts of Shanghai. We took the subway to People's Square- Kind of a Chinese Times Square. It just had a ton of shopping. Right away we found a cute little souvenir shop where I bought my first souvenir- a pig key chain. (I'm the year of the pig.) 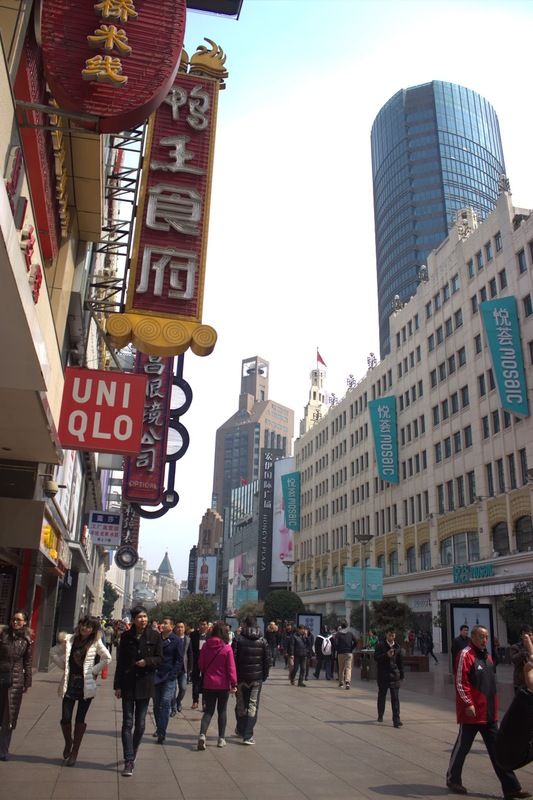 There were a few Chinese shops along with a lot of American stores, including H&M, Forever 21, and an Apple store. 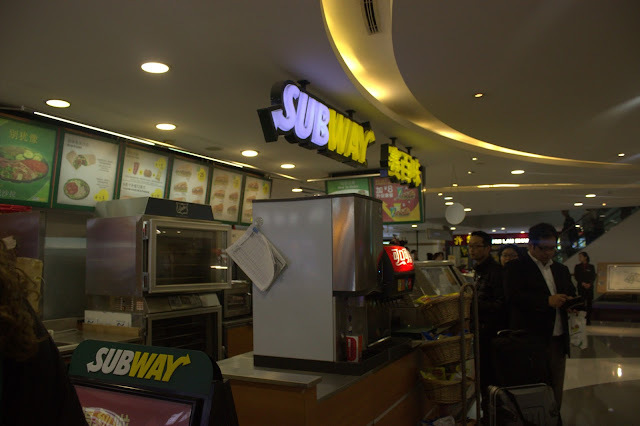 We also found a Subway for lunch, which was very exciting. Their meat tasted a little funny, but no one got food poisoning so we were ok. After lunch we did more shopping all evening. I found some really pretty scarves and fans for gifts. We ended up heading back to the hostel pretty early since we were all exhausted. On Saturday we went to the Yu Gardens. It was this really gorgeous gated garden in the middle of the city. 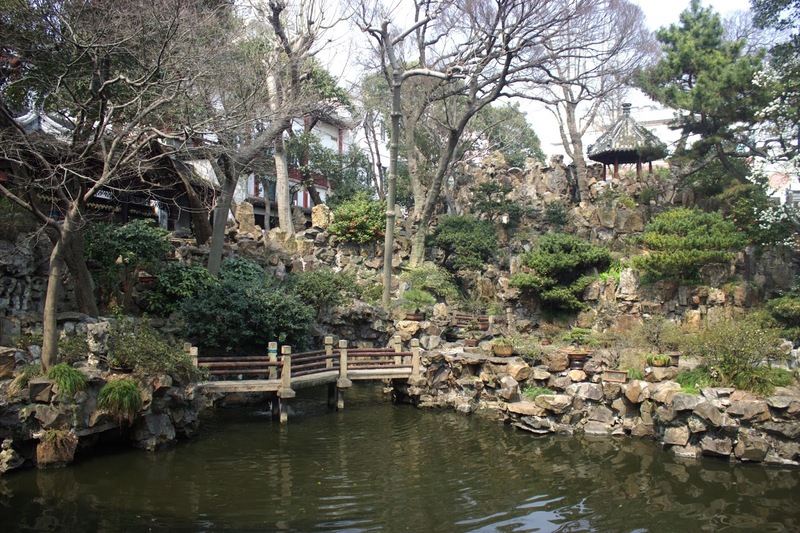 It had some beautiful ponds with lots of Koi fish, a room full of old Chinese paintings, lots of walkways and trees, and really pretty architecture. We spent a few hours in the gardens, and then went to go find lunch. 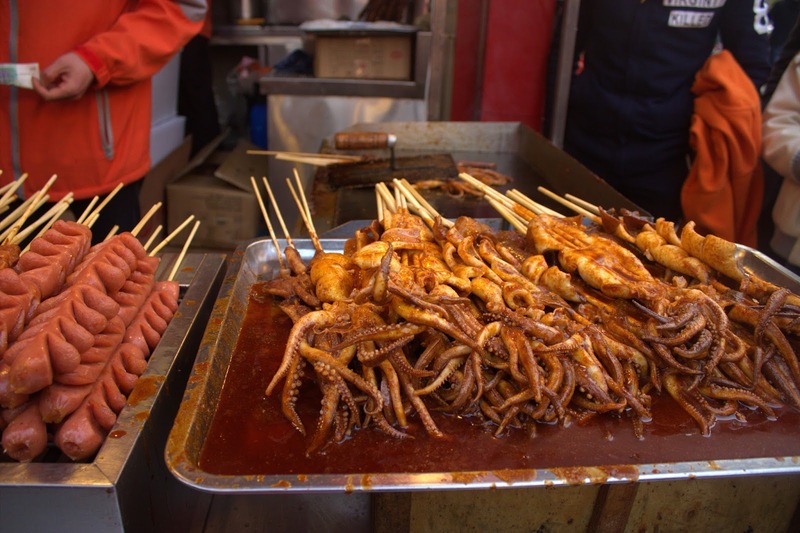 Shanghai is a huge, touristy city, but we had the hardest time finding good places to eat. We ended up getting noodles and dumplings (which were actually very good) at this sketchy looking place. After they gave us our food we had to go up two flights of stairs to find a place to sit. Upstairs we discovered they were cooking stinky tofu, a popular dish here that happens to smell like the rhinoceros exhibit at the zoo. It's legitimately hard for me not to vomit when I smell it. After lunch we found this cute area full of yet more shops. We came across one guy who painted our names in Chinese with really beautiful pictures. We also found the cricket market, which sells (among other things) crickets because they're lucky. Mulan was very accurate about that one. 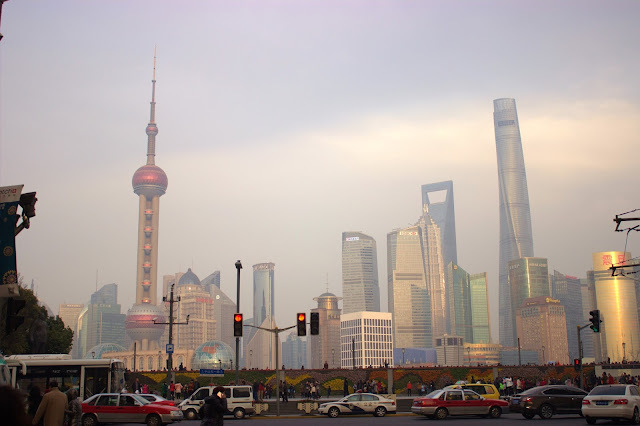 In the evening we went to the Bund, this walkway across the river that gives a great view of the skyline of Shanghai. It was insanely crowded, but eventually we were able to work our way to the front of the crowd and get some pictures. After dinner we went back to see the Bund at night, which is quite an experience. 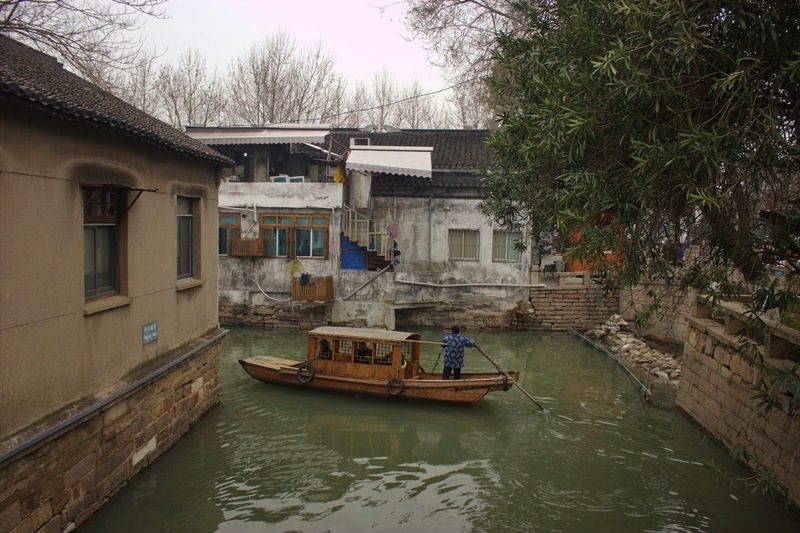 On Sunday we went to Suzhou, a twenty- minute bullet train ride away. 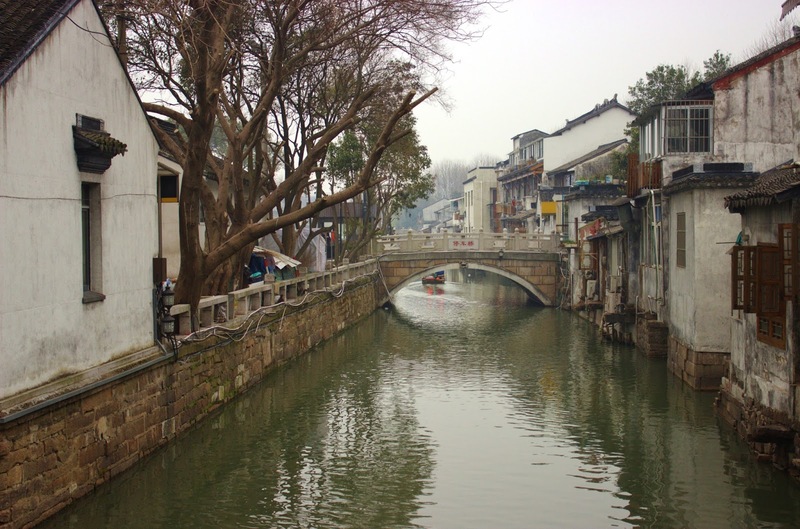 Suzhou is known as "the Vienna of China", full of gardens and canals that run through the city. There is also a church branch that meets in Suzhou, so we were able to go to church, which was really cool. It was small, only about 30 people, but everyone was super friendly and it was a really cool experience to attend church in another country. We talked to the branch president and his wife for a while and they gave us some suggestions about where to go in Suzhou. We got a ride to a part of the town that supposedly had some cool canals, and our driver dropped us off on the side of the street. Did I mention it was freezing? It was freezing. We walked for quite a while until we found sort of a strip of stores on a cobblestone path that looked kind of touristy. It was pretty but we really wanted to see canals, so we tried asking a bunch of different people for help but no one seemed to want to help us. We did end up finding a few canals...not quite the ones we had seen on Pinterest, but still pretty. We also did some shopping and I found this really cute tea set I decided to buy. 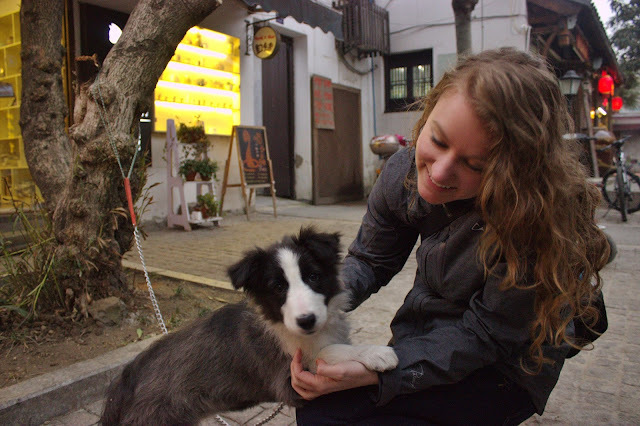 My roommate and I also found a puppy and played it for while. We were supposed to be able to take bus back to the train station to get us back to Shanghai, but we couldn't find any buses so we ended up just walking to the train station, which took us about half an hour. We got there around 7:30 pm and found out the next train didn't leave until 10:00 so we had to wait in the train station for a few hours. I'll spare you all of the uncomfortable details, but we met a lot of very strange people there. We kind of stand out as six American girls in a sea of Asian people, so we tend to get targeted by the weirdos. It happens a lot, but the Suzhou train station was by far the worst. After a lot of creepy stares, panhandlers, and people following us around we were able to get on the train and get back to Shanghai. When we got back to our hostel we had the best surprise- the snorer was gone! I almost cried I was so happy. We ran to our other roommates' room, and it was literally like a whole different world. We walk into their room and some Chinese guy hand us chocolates and asks us how our day was going. Their bathroom didn't smell like pee like ours did, and it just seemed so much cleaner and nicer. We talked with some of the other guys in their hostel room and had a really good time. Then we went back to our room and realized the toilet was clogged and full of poop and they didn't clean it for the next two days. But at least we could sleep at night. Our plane back to Guangzhou left Monday evening, so we had some time of Monday that we decided to fill with the fake market. The fake market is this market full of booths and shops inside the subway station. It's totally illegal, but they let it slide. It's full of clothes, electronics, shoes, etc., that claim to be name brand but are really fake. This is where I learned to barter/bargain! It was super scary for me at first. Basically you just argue about the price of whatever you want to buy. They set the initial price enormously high (especially for us since we're tourists) so we would try to drop it as low as we could. I had a few people tell me to just leave their shop because apparently I was asking too low, but I got everything I wanted for pretty decent prices. I got a pair of Nikes, a pair of Vans, a pair of Toms, a pair of Hunter boots, and some Chinese tassel things that are really popular here. It was fun bargaining for a while, but it did get a little exhausting after a while. One guy also tried to steal my money too, so I had to totally confront him and basically demand my money back. 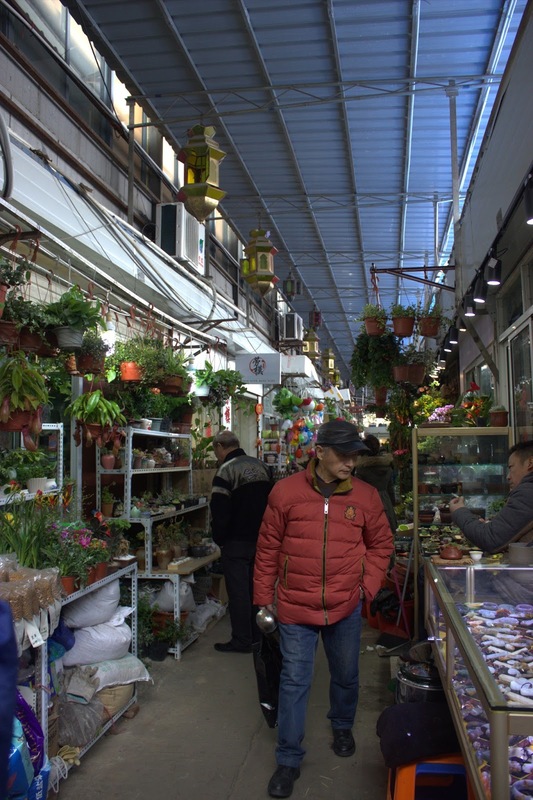 There is also a pretty cool Pearl market next to the fake market, and we had a great time in there. 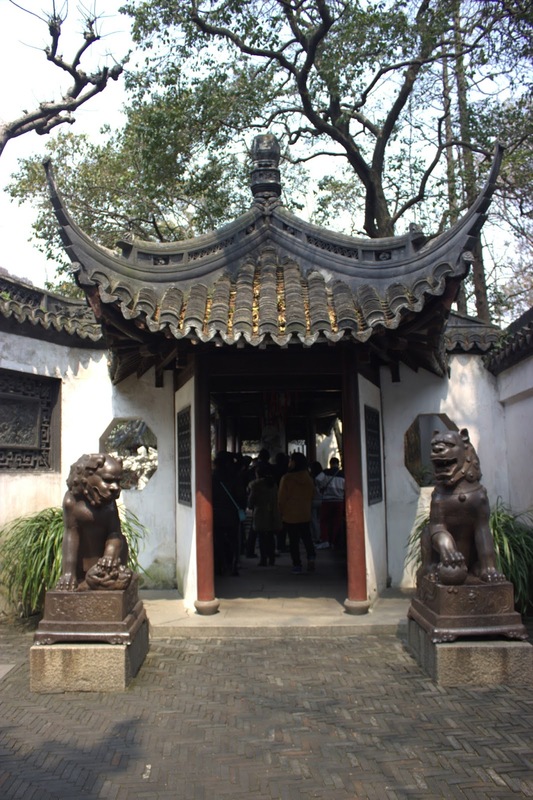 It was actually my favorite place in all of Shanghai. We met a super nice lady who gave us a great deal on pearls. These were real, too. You would buy pearls by the strand and then she would string them into a bracelet or necklace right in front of you. It was a lot of fun. We got on a plane to Guangzhou that night and got into Guangzhou close to midnight. It was too late to take a train back to Zhongshan, so we had booked a hostel to stay in for the night. We waited in line for an hour to get a taxi, and rode the taxi for a good 45 minutes to the address we gave him. It cost us a lot of money, but at least we got there alright. We were dropped off on the side of the road at 2:00 am and wanted nothing more than to just get into a bed and sleep before we had to get up the next morning. The problem was we couldn't find our hostel. Anywhere. 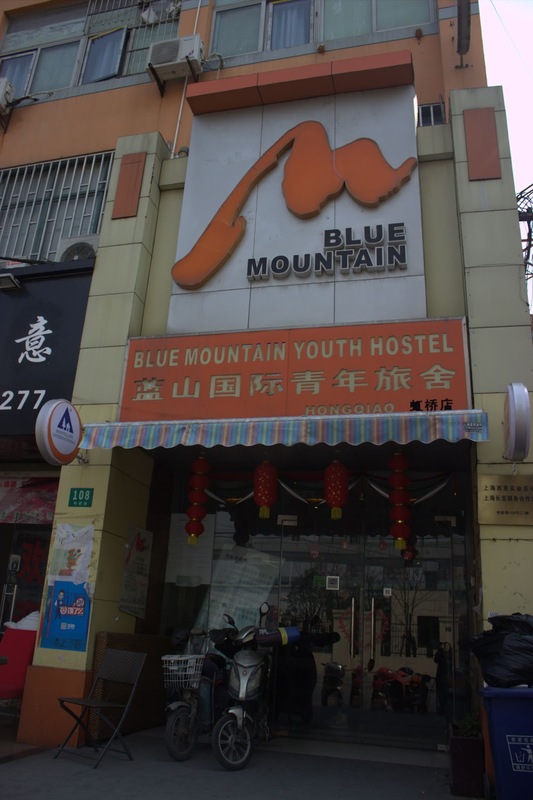 The address we had led us to some closed convenience store, and nothing nearby resembled anything like a hostel. After wandering around for ages we went into a hotel to ask for help. A very nice Indian man who happened to be taking a smoke break offered to help us. He walked back with us to where our hostel was supposed to be, and after he couldn't find it he went back to the hotel and asked the concierge to come out and help us. 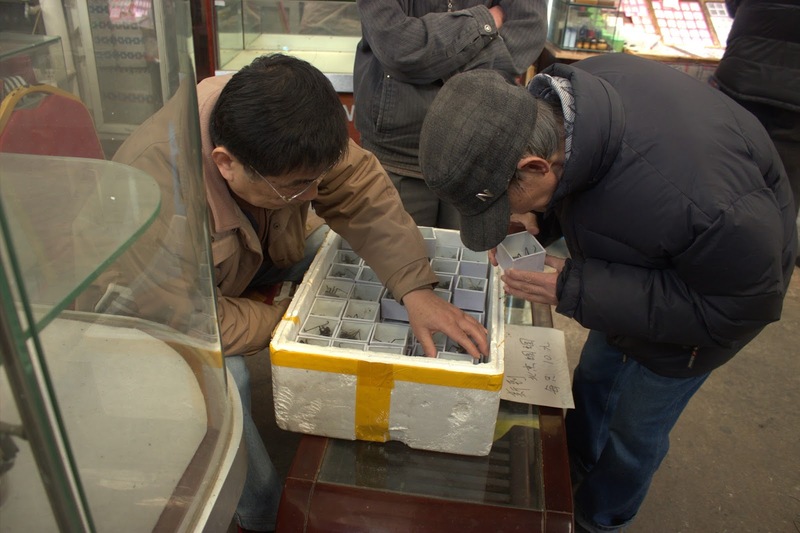 We walked around with the man and the concierge for another half hour, and even with the concierge talking to every Chinese person we came across we were completely lost. Eventually we figured out the hostel was in this huge apartment complex nearby, but when we found the building the security officer wouldn't let us in. So we called up to the room and our hostel owner kept hanging up on the concierge because she thought he was the police or something. Finally the security officer took pity on us and let us up, where we found the room which was actually our hostel and the owner, a woman, let us in. There we found out she had given one of our beds away because we didn't show up when we said we would, even though we had called a dozen times earlier that day and she never answered. One of our girls had to sleep on a couch, but it all worked out in the end. We got to bed around 3:30 am and had to wake up at 7:30 on Tuesday to get a train back to Zhongshan because we had to teach that day. When we got to the train station by our hostel we were told we had to go to a different train station clear across the city to take the train we wanted, so we took the subway clear across town and finally got on the train we wanted. We got into Zhongshan around 11:30 am, grabbed lunch, took a shower, and had to teach at 2:15. It was a long day. We slept well that night. So. 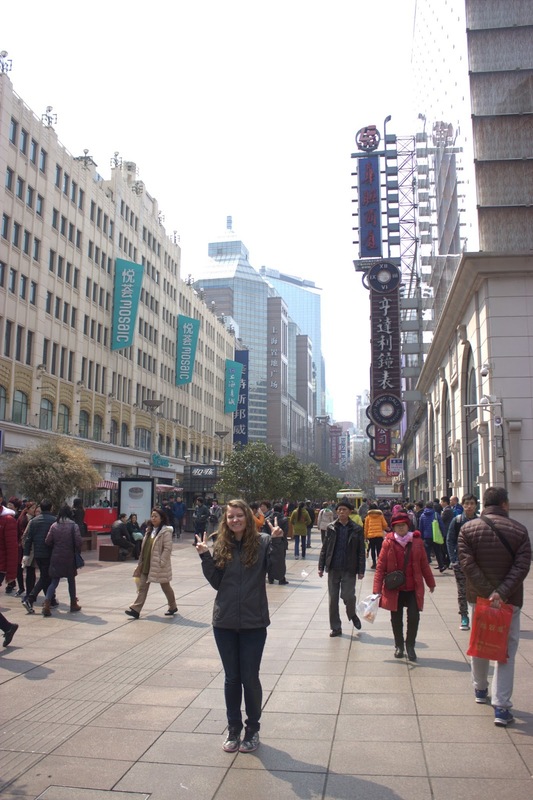 Shanghai was cool and great for shopping, but would I go back? Probably not. Would I recommend it to anyone visiting China? It depends. I don't like cities that much to begin with, so my opinion is a little biased. If you're someone who does like cities, I think Shanghai would definitely be worth stopping by. It is very modern but also combines a lot of Chinese history which was really cool to see.